If becoming a doctor isn’t the right career for you, but you would like to work in allied health, surgical technology may be a good option. Surgical technologists work alongside doctors and surgeons. They are frequently present during operations and provide critical assistance to operating room physicians. Transporting patients to and from operating and recovery rooms. Sterilizing equipment and ensuring adequate supplies for surgery are available. Passing surgeons instruments and other sterile supplies. Providing tools and suturing wounds for surgical team members. Observing and reporting patients’ vital signs. Organizing paperwork documenting any surgical procedure. 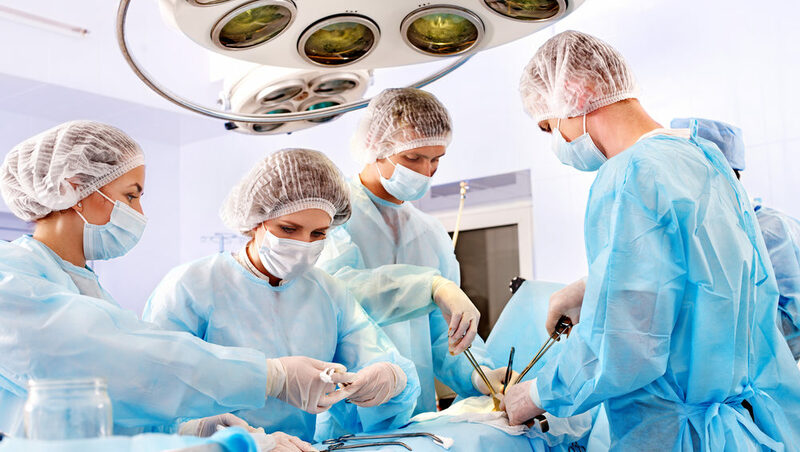 Surgical technologists are important members of surgical teams, especially since technologists are responsible for many preparatory tasks relating to surgeries. For example, you may be asked to prepare an operating room. This can range from setting up trays of instruments in a sterile field to preparing patients for surgery. Because you’ll know how medical equipment works you may be required to ensure all surgical machines are working properly. You will be familiar with these tasks since they are all part of a surgical technology education. Your job duties don’t end at pre-operative care. When watching medical shows on television, you have probably seen individuals pass instruments and supplies to surgeons during an operation. Surgical technologists are frequently the individuals who do this. You may also be asked to hold internal organs in place while the surgeon operates. In some cases you may handle specimens taken for laboratory analysis. At the conclusion of an operation, surgical technologists dress incision sites. You may be asked to take patients into a recovery room and observe them until they come out of anesthesia. 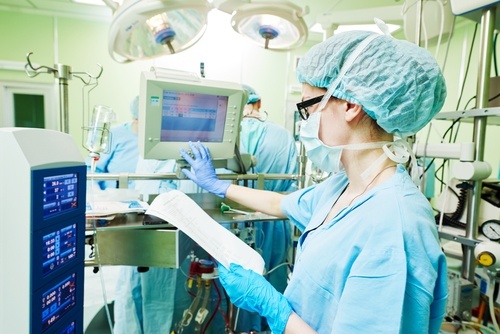 Restocking operating room supplies after a procedure may be one of your responsibilities. Duties vary from day-to-day, and sometimes hour-to-hour. It’s an exciting field with many possibilities for personal and professional growth. The work of a surgical technologist is physically demanding. You’re required to remain standing throughout the entire surgical procedure. Some operations are short. Others can be as long as eight or ten hours. You must be alert and constantly aware of what is happening around you for the duration of the procedure. Being comfortable with the sight of blood, bones and internal organs is essential. You must be equally comfortable holding living organs inside a body cavity of a patient. In addition to these sights, you are exposed to unpleasant odors and possibly communicable diseases. While all precautions are taken, there is always some risk when performing this kind of a job. Surgical technologists wear prescribed clothing called scrubs. Scrubs are special sterile clothing operating teams must wear to minimize the possibility of infection to the patient. Depending upon where you work, specific colors and types may be required. As part of this dress code, jewelry, long nails (and even artificial nails) are almost always prohibited. The risk of an earring, or acrylic nail falling into an open body cavity is too great, so this requirement is a typical standard of care. Places you can work include hospital surgical units, ambulatory surgical centers, free-standing out-patient surgery centers or private surgical medical practices. Although surgical technologists can work part-time, most are hired as full-time employees in hospitals and clinics. Where you work determines hours and shifts. However, since many surgeries are performed in the mornings, your day may start as early as 5:00 a.m. Hours fluctuate depending upon the daily and weekly operating room schedule. You can be called in at the last minute to assist with an emergency operation. You may also specialize in a type of surgery, such as cardiovascular, and become a regular member of a surgical team. In those cases your hours may be a little more predictable, but they will still be long (over eight hours a day) and rigorous. Surgical technologists will have rotations where they are on call during nights, weekends and holidays. In most cases, to become a surgical technologist you’ll need some kind of a degree from an accredited surgical technology program. Graduates of these programs can then become Certified Surgical Technologists (CSTs). The CST exam is a standardized test that helps employers know you have the skills and knowledge necessary to be a capable and trusted surgical technologist. The CST test is conducted by The National Board of Surgical Technology and Surgical Assisting (NBSTSA). Their website provides comprehensive information about the exam, practice tests, and eligibility requirements. Although some employers don’t require certification, most do. In all cases having a CST after your name enhances your employment opportunities. You can earn a degree in surgical technology in 12-24 months. Most programs are on-ground, although some may be a combination of on-ground and on-line courses. All surgical technology programs require an externship, or internship, of surgical rotations. Practical experience is part of any surgical technology curriculum. The experiential components of the program applies what you’ve learned in the classroom to actual operating room experience. Like doctors, you’ll rotate through different types of surgeries. In these rotations you’ll determine if there is one type of operation you prefer over another. To provide a competency-based environment in a classroom using current models and trends in the industry. To deliver a training program in a setting where surgical technology students can apply the theoretical knowledge gained during the lecture portion of the training to the performance of skills used in an operating suite. To offer students opportunities to acquire and practice professional behavior in working with relationships with patients and members of a surgical care team. To facilitate the occupational growth of students by providing access to the knowledge base and applied skills necessary to become an integral member of a surgical care team. Surgical technology programs are linear. Linear means that with some exceptions, you’re required to take the courses in a certain sequence. Surgical technology courses build upon each other. In other words, you need to know the information in one class to understand the information in the next course and so on. Most surgical technology programs provide the study of general and specialty surgical procedures. An academic associate degree in surgical technology will include some general education courses like psychology and English composition. An associate degree takes longer to complete. However, the general education courses assist graduates in growing professionally and in developing the ability to assume roles of leadership in the work environment. Like with most professions in allied health, surgical technologists are required to take additional courses once they are certified. Every four years, the NBSTSA requires 60 credits of continuing education for CST renewal. You will have to provide proof of these 60 credits when you submit your renewal application. Details and updates are always located on the NBSTSA site. If you are interested in earning an associate degree in surgical technology, a list of approved programs can be found at the Commission on Accreditation of Allied Health Education Programs (CAAHEP), or at the Accrediting Bureau of Health Education Schools (ABHES). Both of these organizations approve and accredit surgical technology programs. With a surgical technology degree you can obtain employment as a Surgical Technician or Surgical Technologist. The Bureau of Labor Statistics (BLS) indicates the demand for surgical technologists is rising. This career is expected to grow at the rate of 12% between 2016 and 2026, which a faster pace than other careers. To be a successful surgical technologist there are important technical skills you’ll need. Aseptic – You must understand how to maintain an environment that is free from bacteria and contamination. Cardiopulmonary resuscitation (CPR) – In an emergency, you may be required to keep brain function intact until an appropriate medical professional arrives on the scene. A certification in CPR is always required and something you’ll obtain as part of your education. Communication – You must be able to communicate verbally and also on paper (medical records and patient charting). Part of your communication skills include superior listening since care of patients includes knowing how they are feeling. Computer skills – Many hospitals now have their records on computer. They also record notes and observations in real time on tablets. Knowledge of computers and other technical devices will help you in securing a job. Organization – In this position you have to keep medical supplies, operating room instruments, and even schedules organized and free from chaos. Patient care – You must truly enjoy working with people and listening to what they have to say. Physical demand – The ability to stand for long periods of time is essential. You’ll also be required to transfer patients, so lifting a certain amount of weight is expected. Sterile techniques – Knowing how to set up, maintain, and remove sterile fields is required. Surgical procedures – You may be asked about your familiarity with various types of surgical procedures. Teamwork/collaboration – Surgeries are performed by surgical teams that perform well together. Since surgical technologists are vital members of these teams, you must be able to interact and get along well with team members. You can enter the field quickly – Surgical technology programs take anywhere from 12-24 months to complete. By researching approved programs, you’re apt to find one that meets your budget and your time frames. Demand is high – Because an increase in surgical technologists is expected through 2024 (BLS), once you’re a CST, employers will be interested in hiring someone with your skills and credentials. Growth is high due to ongoing advances in surgical technology. These advances mean more surgical procedures can be performed, many with lower risks to patients. A larger, and aging population also contributes to the demand. You can work anywhere – A CST (Certified Surgical Technologist) is a national certification, so your qualifications move with you. Additionally, since most surgical technologists are hired by hospitals, and hospitals are located throughout the United States, job opportunities exist in most places. There is a lot of variety – Even if you specialize in a specific surgical technology area, no patient or procedure is ever the same. So your days and weeks will not be spent in repetitive task assignments. Although the pressure is high, some of the uniqueness of your days may be a good offset for you. You can make a difference in someone’s life – Patients undergoing surgery are usually scared. Since part of your job as a surgical technologist is interacting with patients before and after surgery, you can provide assurance to them. It is also very satisfying to see patients thrive and return to their life interests after a surgery is conducted. As a surgical technologist, you will have contributed to their return to health and lifestyle. As a surgical technologist, or even a surgical technology student, you can join the Association of Surgical Technologists (AST). This organization supports people in the profession, and those aspiring to the career. It provides information on technical advances, public policy, and changes in educational standards. If this article has sparked your interest, you can begin practicing some of the skills required for a surgical technologist, regardless of your age. Through The Apprentice Doctor you can acquire a suturing kit, complete with instructional videos. With this kit you can practice suturing, tying knots and other skills common to the field of surgical technology. You’ll grow in confidence as you gain agility in performing these critical tasks. More importantly, after completing this internationally accredited program, you’ll know without a doubt you want to become a surgical technologist. Learn more about the suturing mastery course. Becoming a Certified Surgical First Assistant. An interview with a practicing surgical technologist.